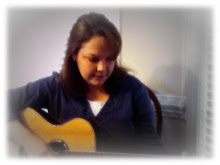 Starting today, I have decided to post about various tools that I love to use as a music therapist. I'm going to call it "Therapy Tools Tuesday", for lack of a better, more cool title. :) These tools include instruments, CDs, totes, storage bins, and in general, anything that I feel helps me get through a day in my life as a music therapist. My very first Therapy tool post will be about a pair of great shakers called Wrist Egg Shakers. I recently purchased them here, and have found them to be very useful with the populations I serve (students that have difficulty grasping and holding instruments, or students who have difficulty holding objects and moving them without dropping them). They are also handy to use with students who can use shakers well, but have a history of throwing them. You can easily place them in the palm of their hands and velcro around the back of their hands. The wrist egg shakers are sold in pairs and are made from a durable nylon strap with velcro for securing it to the wrist. I have found them to be extremely durable and easy to clean with clorox wipes. That's an automatic plus in my opinion! These wrist egg shakers are currently $4.75/pair so I highly recommend that you check them out! Feel free to comment and share your therapy tools too! My bigger challenge tends to be the folks who perceive them as "lunch". Aaaugh! And adults have bigger mouths than children! Erk! Thanks for the heads up. Thanks for the comment Roia! I totally understand where you're coming from too. Some folks tend to experience everything with their mouth first. But, these shakers are cool because you can clean them. :) I haven't had one break yet after being dropped on a hard floor. So, that's a plus too! Definitely...washable and unbreakable gets many points. Ole! I was wondering if the straps on these egg shakers could be adjusted to be used with younger students who have small hands as well as adults?